Hot on the heels of the weekend’s deluge of fracking stories comes research from the US that suggests chemicals released into the air in the process of hydraulic fracturing could prove a health risk to those living nearby. A three-year study by the Colorado School of Public Health looked at the airborne chemicals released near fracking wells in Garfield County, Colorado. Garfield is set to become a hotbed of fracking activity which spurred county officials to commission the research. According to Bloomberg News, “one operator has proposed drilling 200 wells about 500 feet from homes in Garfield County”. But scrutiny of fracking, both in the US and here in New Zealand, has largely focused on the risk of water contamination and the potential for fracking to trigger minor earthquakes. This latest study, to be published in Science of the Total Environment suggests monitoring of air quality near fracking sites is as important, particularly in places where fracking is permitted in close proximity to residential areas. Chemicals detected in the air near the wells include trimethylbenzenes, aliaphatic hydrocarbons, and xylenes. The chemicals, say the researchers, comes from a “complex mixture of pollutants from the natural gas resource itself as well as diesel engines, tanks containing produced water, and on site materials used in production, such as drilling muds and fracking fluids. This complex mixture of chemicals and resultant secondary air pollutants, such as ozone, can be transported to nearby residences and population centers.” The chance of emissions from fracking escaping apparently is most pronounced when the wells are being built. Benzene, a carcinogen, and chemicals that can irritate eyes and cause headaches, sore throats or difficulty breathing, were found in air close to the wells. What can we here in New Zealand take away from it? Any scientific examination of fracking sites should also look at air quality near fracking wells. That’s certainly the conclusion of the US Environmental Protection Agency which is proposing introducing standards that would reduce emissions from wells. The EPA proposal would cut smog-forming emissions by 25 percent through existing technologies that capture escaping gas, the agency said. The rule would also prevent the release of 3.4 million tons of methane, a greenhouse house that’s 20 times more potent than carbon dioxide. That’s equal to taking 11 million passenger cars off the road, the EPA said. According to the EPA, the rule would also lead to net gain of $30 million a year for drillers who will have more gas to market. More on the study from the Denver Post. The researchers conclude that the results warrant further examination of the issue as fracking activity increases significantly in Colorado and other states. These preliminary results indicate that health effects resulting from air emissions during development of unconventional natural gas resources are most likely to occur in residents living nearest to the well pads and warrant further study. 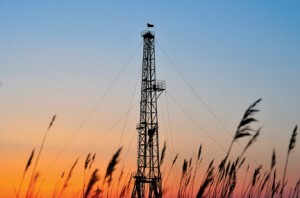 Risk prevention efforts should be directed towards reducing air emission exposures for persons living and working near wells during well completions. Methods: We used EPA guidance to estimate chronic and subchronic non-cancer hazard indices and cancer risks from exposure to hydrocarbons for two populations: (1) residents living > ½ mile from wells and (2) residents living â‰¤ ½ mile from wells. Results: Residents living â‰¤ ½ mile from wells are at greater risk for health effects from NGD than are residents living > ½ mile from wells. Subchronic exposures to air pollutants during well completion activities present the greatest potential for health effects. The subchronic non-cancer hazard index (HI) of 5 for residents â‰¤ ½ mile from wells was driven primarily by exposure to trimethylbenzenes, xylenes, and aliphatic hydrocarbons. Chronic HIs were 1 and 0.4. for residents â‰¤ ½ mile from wells and > ½ mile from wells, respectively. Cumulative cancer risks were 10 in a million and 6 in a million for residents living â‰¤ ½ mile and > ½ mile from wells, respectively, with benzene as the major contributor to the risk. Hi there, yeah that’s interesting. I gathered that from the abstract above that states: “Subchronic exposures to air pollutants during well completion activities present the greatest potential for health effects.” Now I take well completion as actually physically creating the well, but I may have misinterpreted that. It stands to reason that the drilling of the well itself wouldn’t produce the type emissions that come from the fracking activity. Anyway, drop me your email address for more info. I wonder how air pollutant levels around NGD/fracked wells compare to standard onshore gas wells? This statement, “The chance of emissions from fracking escaping apparently is most pronounced when the wells are being built” seems to imply that it is the drilling of the well itself and not necessarily the fracking that produces the bulk of the emissions, given that most frack jobs are carried out after well completion. I will have to get my hands on the paper, I am interested in what the pathways for contaminants are suggested to be to get into the air. Thanks for posting on it!